The typographic oddities in these early Cummings poems are only part of the enjoyment, for the imagery remains paramount, captured in word and thereafter hopefully to be illustrated in the musical settings. As of 2019, these texts, once under copyright in the US over a ninety-five year period, are become part of the public domain and are made available here as such. 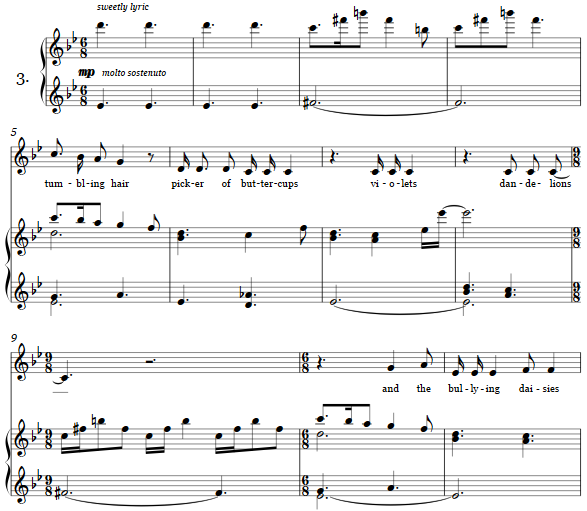 The spacing of the text in its various lines, and the line breaks themselves, are used to generate intervals and breaks in the melodic phrasing. Thus it is possible to claim that the poet assisted in the pitch selection and phrasing. 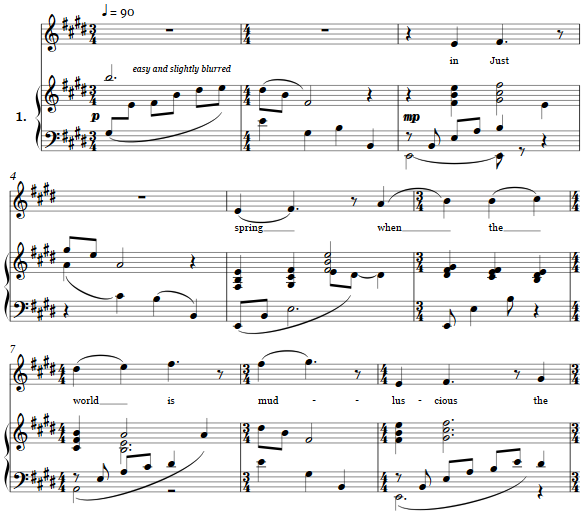 Blurring the accompaniment with the sostenuto pedal is encouraged, such that the washes of harmonic colors underpinning the vocal line has soft edges. 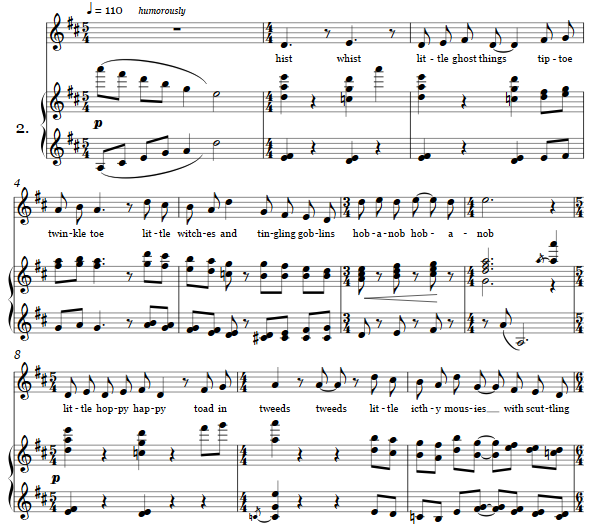 The humor of the second text is punctuated with parallel chords in the accompaniment and sometimes conflicting harmonic structures. The elegiac setting of this text is one of light dissonance and tonal domains somewhat distant from one another at the beginning. How shall "with eyes a little sorry" be read? As reacting to the disturbance of "another" or at the occasion of picking flowers? A small postlude for the piano alone continues the mood, ending in a hushed dissonance.